Do you wish you could fold a load of laundry or cook a meal without being attacked by a cranky toddler? 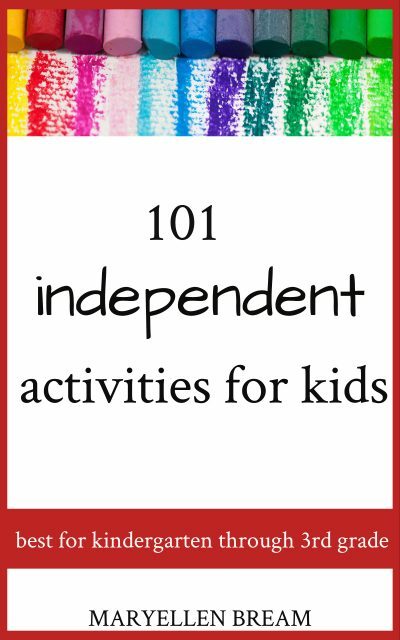 Choose one of these 101 activities to occupy your child while you accomplish other things you need to do. All of the activities require minimal cost and setup. PLEASE NOTE: This is a digital product. Nothing will be shipped to you in the mail. Although I strongly believe parents should play with their children, there are plenty of times when it is appropriate for children to play on their own. Often you are busy with something that your children cannot help you with and you need a way to occupy them. 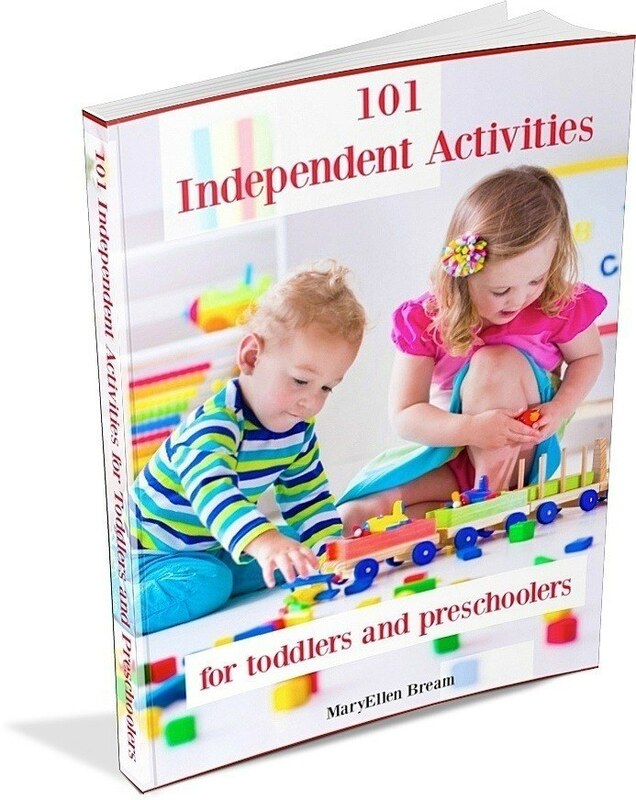 This eBook provides a supply of ideas for things that your child can do independently. All of these activities have been tested by real moms and kids. Some will be appropriate for very young children, and some act will be better for preschool children. You will need to determine what will work for your child. Also, you may be surprised at which activities your child likes best. Just try them and find what works best for your family! Most of these ideas require minimal cost and setup.